MMHAPU stands for Maulana Mazharul Haque Arabic and Persian University it was established in the year of 1998. 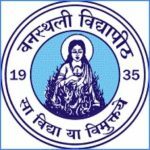 It is a State University situated in Patna, Bihar. Admission will be provided in UG Courses– BA, B.Sc, B.Com, BCA, BJMC, BLIS, PG Courses- MBA, MA, and Other Courses- B.Ed etc. 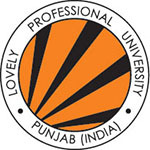 This university is approved by the University Grant Commission (UGC). Here, through this content, the candidates will be able to know the detailed information of MMHAPU 2019 includes Application Form, Fees, Exam Dates, Eligibility Criteria, and How to apply. Those candidates who are interested to get admission in the UG, PG and Other programs they can fill the application form of MMHAPU 2019 Entrance Test. Application form for MMHAPU is available on the official portal through online mode. On the official website, the Application Form 2019 will be available only through the online process. For different courses, the University will issue all MMHAPU 2019 application forms. In the Month of April 2019, the application form will be issued on the official. Candidates need to bring the printed copy of the application form, acknowledgment slip, and fee payment Challan. For more details, the candidate needs to visit its official website which is www.mmhapu.ac.in. All the candidates’ wants to apply for admission have to look at the complete MMHAPU 2019 eligibility criteria. Candidates need to fulfill all criteria of MMHAPU 2019. Before filling the application form applicants have to check their eligibility criteria which have mentioned below. The candidate those are eligible has to satisfy all the eligibility criteria required for filling the application form for UG and PG courses. The candidates those have been cleared their schooling by passing 12th with any stream eligible to apply for UG courses. To fill the application form of PG course the applicants must have a graduation degree in the relevant subject. For more details about MMHAPU Admission 2019 Eligibility Criteriavisit the official website. 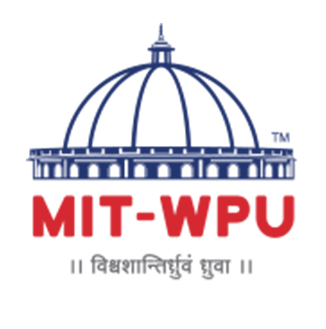 Candidates eagerly waiting for the MMHAPU Admission 2019 Important Dates can check here. On the official website is provided all details and the tentative admission schedule 2019. As per this schedule, the Admission Application Form will be available on the official website from September 2019. Maulana Mazharul Haque Arabic and Persian University will provide Application form via online or offline mode. Candidates can find the MMHAPU 2019 Application form on online official portal. Check below section to know briefly about the MMHAPU 2019 Application form. The aspirants planning to take admission in the university must apply in person to secure admission in the course of choice. Visit the official website of the university i.e.http://www.mmhapu.bih.nic.in. Click on the ‘Download’ tab to download the Application form. Fill the application form with all the academic and personal details correctly. Affix the passport sized photograph at the designated place in the form. Submit the completely filled application form with the candidate’s signature at the admission office. Candidates must also download and take the print-out of the registration form. Affix the passport sized photograph on the form. Submit the registration form before the last day to avoid fine. Note – The registration forms are filled after the enrolment in the course of choice. The applicants must bring the Original documents at the time of admission for verification purposes. If you have any other Questions related to MMHAPU 2019 Application Form, you may ask your Queries by commenting below.